HP Official Executive Leather Case is an elegant solution to protecting and securing your 5000 series unit. 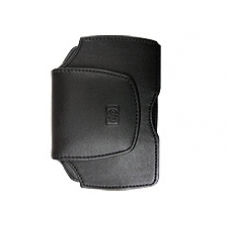 Made from full-grain leather your iPAQ never looks out of style! * Official Embossed HP Logo. * Quick and Easy Open Magnetic Clips. * Belt Hook on Reverse.